Whether you're just getting your first Android, or are already on your fifth annual cycle of picking up the latest flagship, there is always the question of what to do after booting up your device for the first time. You can go the route of keeping your device the way the manufacturer intended by staying with a stock system, or you can throw caution—and your warranty—to the wind by rooting your device and delving into the world of deep-customization. Both options have their pros and cons, with no clear advantage other than truly making your device your own. 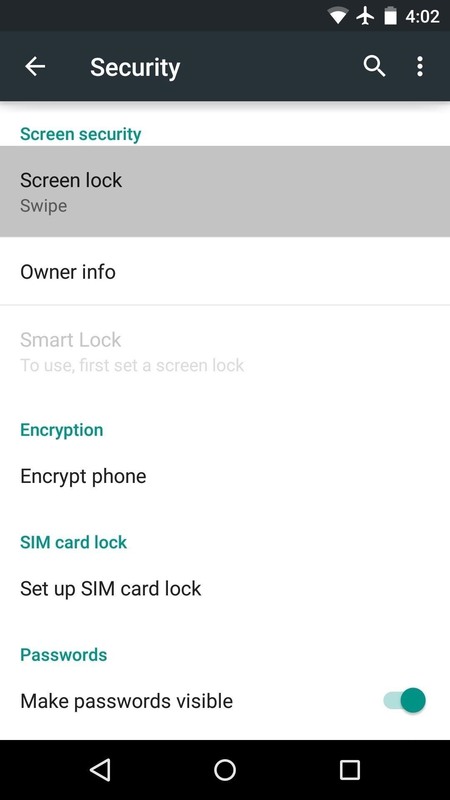 With a stock system, there is no risk of breaking any features of your device, since many custom ROMs and tweaks aren't compatible with things like Samsung's KNOX security system. You'll also still be able to install OTA updates right when your carrier ships them out without worrying about recoveries or if your mods prevent the OTA from being installed. However, rooting opens your device to many features manufacturers would never include, like the Xposed Framework and real performance boosters that aren't just placebos. Regardless of which side you fall on, we have you covered, so check out this guide to see which direction you want to take that brand new Android device. No matter which direction you decide to go, there are a bunch of issues you will need to clear up first. First off, you need to decide whether you want to keep Google on your device or not. While most people don't mind being a part of the ever-present data-mining Google performs, others would rather remove its presence from their device entirely to protect their privacy. 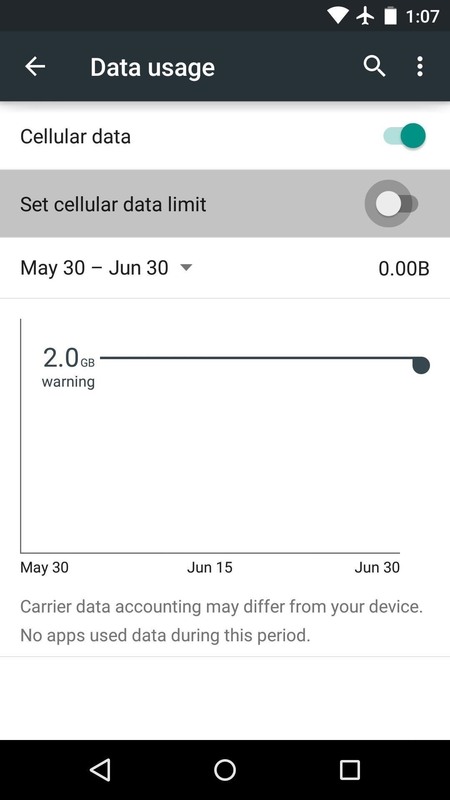 On the other hand, you may not care about Google's apps flooding your app drawer, but do care about your carrier filling your device with useless bloatware. Despite your carrier and manufacturer doing everything in their power to keep their apps on your device, there's always a way to remove it. If you decided to keep Google's Play Store on your device, then you may want to set it up so that you can share all of your purchased apps with your entire family. It may not be the most moral solution, but why pay for an app three times in the same household? With your apps under control, you can start tweaking your settings. One feature that has divided a lot of Android users running Lollipop is the addition of heads-up notifications. You either love them or you hate them, and if you are one that hates them, then you'll need a third-party solution to disable them for good. 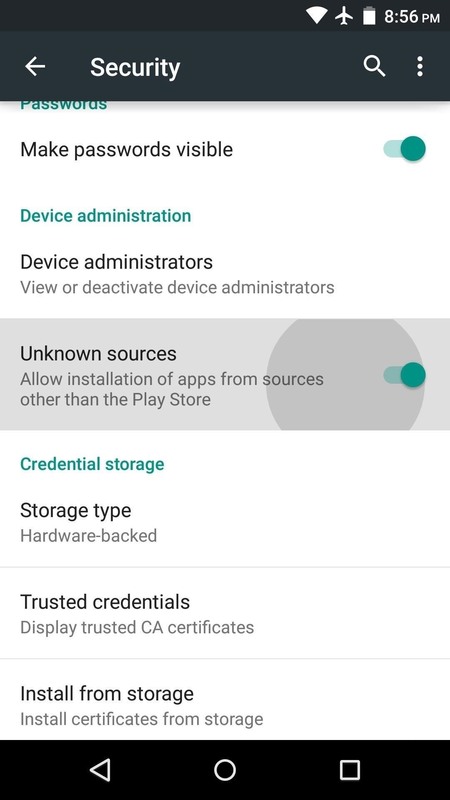 The last thing to set up before testing the waters of your new device should come as no surprise to seasoned Android users, but for those of you who are new, you should definitely enable app installation from "Unknown sources" and unlock the Developer options entry in your Settings app. 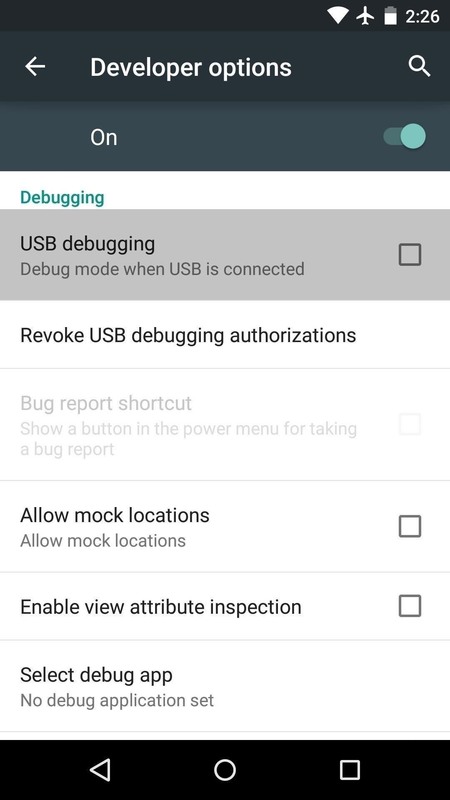 Enabling Unknown sources allows you install third-party apps that aren't downloaded through the Play Store, while Developer options allows you to tweak many advanced user settings like animation speed and enabling ADB access and USB debugging. Since the beginning, Android has always been about customizing your mobile experience to fit your needs, so leaving your system untouched and unrooted does not give you the same restrictions that it does on iOS. And speaking of iOS, for those of you who are transitioning from Apple, you may want to install some Android equivalents to popular iOS apps. To get started with your Android, you can begin by managing your data and battery life without the need to install any root-level tweaks or flashing anything through ADB. You can also beef up your security by adjusting a few settings and improve your Android's internet browser by blocking ads from taking up precious screen real estate. And if you are not feeling the stock wallpapers that come with your Android, you may want to check out our list of the best wallpaper apps out there. 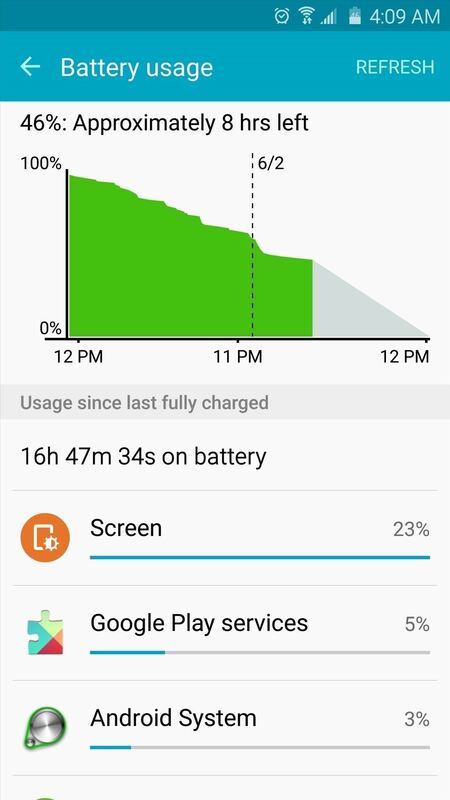 When I started off with my first Android phone, I thought that there was no reason to root, but after being introduced to all the apps power users put out, I quickly changed my mind. If after using your stock device for a while you decide that you need more apps and toolboxes to tweak your settings, you may consider taking the plunge and rooting your device. Usually the rooting process requires you to use a computer, so why not turn your computer, whether it be a Mac or PC, into the perfect Android hub. If you are using a Mac, you should install ADB, Fastboot and Android Tool. ADB and Fastboot will allow you to send all the necessary commands to unlock your bootloader, back up your device, and more. With Android Tool, you'll be able to painlessly record your Android's screen. Windows users also have an easy way to install and use adbGUI, which makes it so that you no longer need to use a command prompt to send commands to your Android. And for a wireless way to sync files across all of your devices, you may want to check out our top apps to cut out all the cables. Your particular manufacturer and device model will determine which root method you need, but I'd recommend using one that also unlocks your bootloader, since that will also let you install TWRP, a very popular custom recovery. The benefit of having a custom recovery is that it allows to flash ROMs and tweaks that otherwise could not be installed via an APK. For starters, you should make sure you install BusyBox, which grants you access to even more UNIX-based commands on your Android. You may also want to check out the Xposed Framework and its vast library of modules. Be sure to make NANDroid backups of your system through TWRP if you do decide to use Xposed, since some modules get released without being thoroughly tested. If you'd rather stay away from installing a whole new framework on your Android, you still have access to other worthwhile root mods. 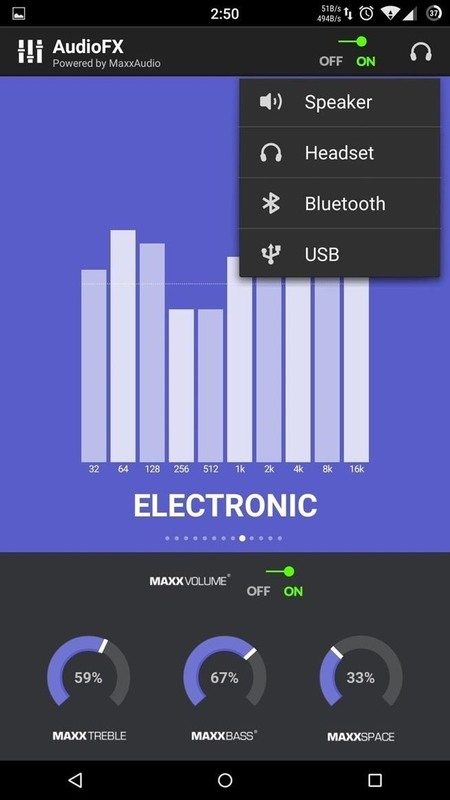 For you audiophiles, you can install a system equalizer, but if you are just looking to boost performance check out our guide for getting the most out of your rooted Android. No matter which road you take, there is always something new and exciting to install on you Android, so be sure to keep checking back here for must-have tweaks and mods. Sorry, I'm not quite sure what you're asking. Are you trying to install the Google Keyboard?